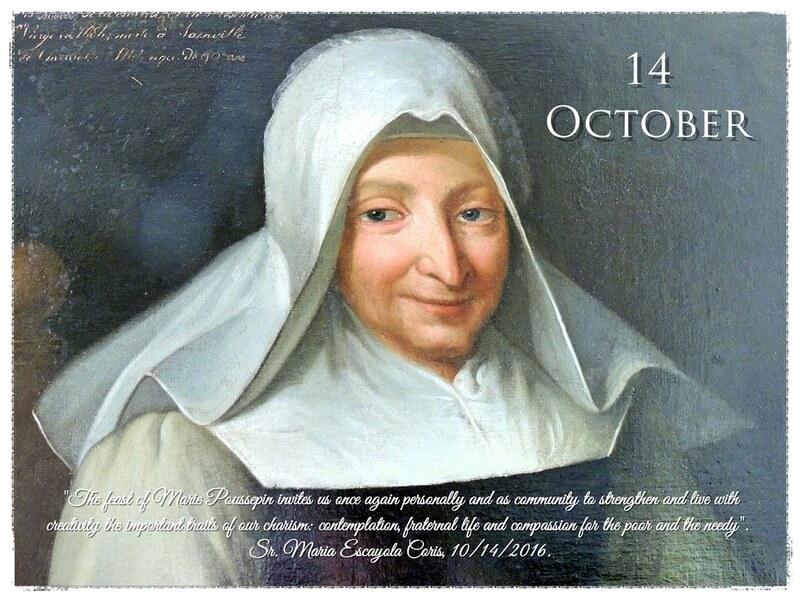 10/14/2016.- We wish you a happy feast of Marie Poussepin, our foundress. "Lord Almighty, Father, Son, and Holy Spirit, we praise you, we bless you, we adore you, grant that by the imitation of Blessed MARIE POUSSEPIN we may be firm in faith, unwavering in hope, and generous in charity. Establish our souls in a living community of love and holiness, so that henceforth we may sing eternally a hymn of praise: Glory to the Father, Glory to the Son, Glory to the Holy Spirit. Amén." Click on the image to download with high resolution from Flickr. * Note for Sisters: More information on the intranet.